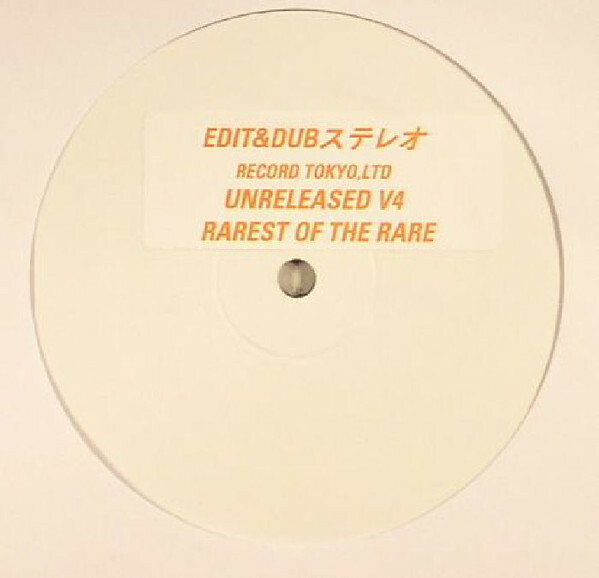 Groove Distribution :: Stock :: Singles :: House :: Edit & Dub/#4:RAREST OF THE RARE 12"
Home : Stock : Singles : House : Edit & Dub/#4:RAREST OF THE RARE 12"
Edit & Dub/#4:RAREST OF THE RARE 12"
Groove Dis Exclusive. EDIT & DUB keep pushing on with Holy Grail disco of "OUCH DUB" by SHANTEL SISTER & KEVA along with unreleased versions of classics by the legendary LARRY HEARD and The JONESES. Playlist: 1) "LOVE VISTA" 2) "OUCH (DUB MIX)" 3) "SUGAR PIE GUY" (TEE SCOTT mix). One-sided white label. Repressed! Edit & Dub/#3 NYC 1980 12" Edit & Dub/#5 TEE SCOTT VOL. 2 12"" Edit & Dub/#6 SYLVESTER UNRELEASED 12"
Edit & Dub/#7 DANCIN TO DISCO DUBS 12" Edit & Dub/#8 TEE SCOTT VOL. 3 12" Edit & Dub/#9 NEW HORIZON 12"
Angie Stone/THANK YA FINGERS PROD RMX 7" Speak Low/THRILLER & UNUSUAL TATAMI 7" Carl Bean/I WAS BORN THIS WAY RMX'S 12"